Retail Personalization + the Customer Experience. 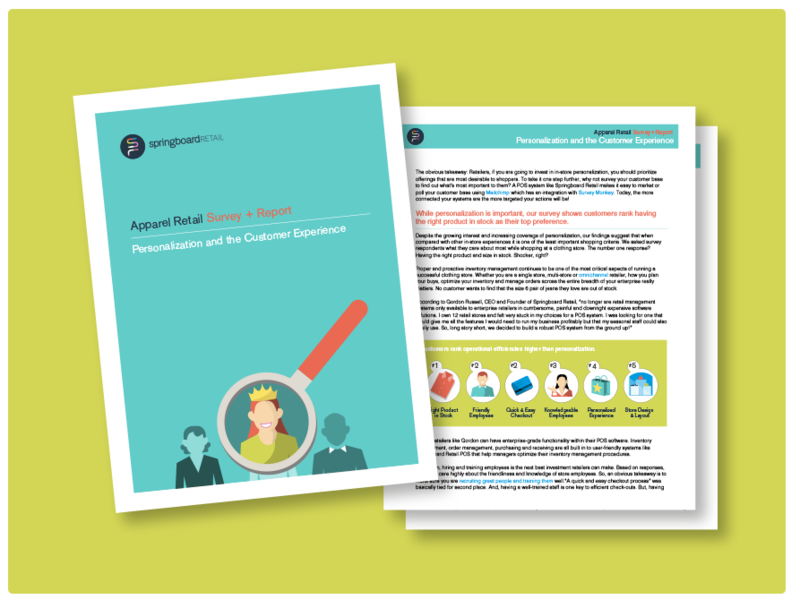 Learn what keeps apparel store customers happy, engaged and loyal! Customers have come to expect personalized interactions with their favorite brands. But, what kind of personalization do shoppers care about most? How important is personalization relative to other aspects of the customer experience? And, how does this apply specifically to apparel retailers? Find out what 400 customers have to say. 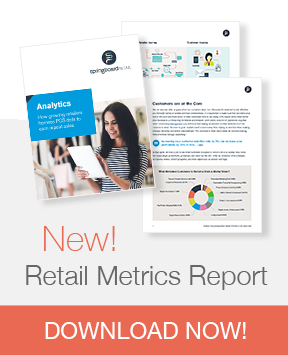 Download the full report! Springboard Retail POS gives you the ability to provide every customer with a personalized experience! Go mobile, streamline your apparel retail business and influence buying behavior at the point of decision. With omnichannel inventory management, custom reporting, integrations with top retail platforms and portability across devices, Springboard is quick-to-start, user friendly and revered by customers nationwide for making their jobs easier.